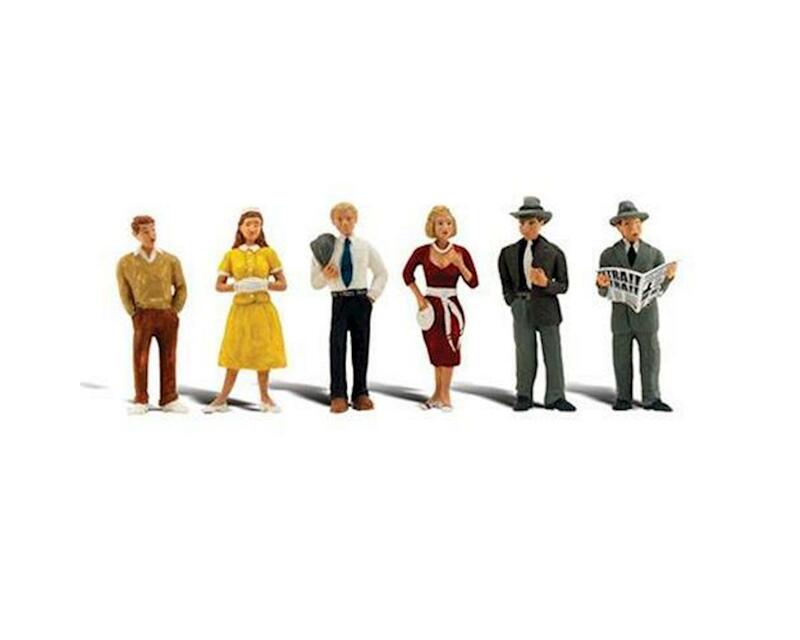 Add life to your downtown street with this figure set that includes four men and two women. One man reads his paper while he waits for the bus, and his companions stand in various poses ready for conversation or window shopping. Colors may vary from actual product.